Since May 2016, an all-time high of 52 television series were filmed in New York City, in addition to 336 feature film projects. The outstanding growth of 13 percent in television and 40 percent in feature film production since 2015 is due to New York state's $420 million in film production tax credits. Broadway Stages, Brooklyn's largest full-service film and production company, has helped bring shows like CBS's "Bull," TBS's "The Detour," and the Emmy Award-winning "The Good Wife" to New York City. The production increase has had an undeniably positive impact on the local economy, as film production studios source locally for food and equipment. The postproduction industry is a big success in New York City. Compared to the national average of 12 percent growth in postproduction jobs, New York City nearly triples the figure at 35 percent growth in the industry since 2004. Since the New York State Postproduction Tax Credit Program was introduced in 2010, more than 2,600 new jobs have been created with every job in the postproduction industry creating an average of 2.07 jobs in the U.S. economy. With over $7 million in economic output and $128 million in fiscal impact, the New York State Postproduction Tax Credit not only stimulates the local economy but also develops New York City into a competitive productions location. As Brooklyn's largest full film and productions company, Broadway Stages looks forward to continuing to bring commerce to the New York City economy and creating new jobs. Broadway Stages is excited to announce that Governor Cuomo has proposed an extension of the New York State Film Tax Credit Program until 2022! The program is essential to strengthening the production industry in New York City while also positively impacting the local economy. "our deepest gratitude to Governor Cuomo for his support of the film and television industry. Broadway Stages' success, in large part, is due to the governor's foresight in expanding the Film and Television Tax Credit. This tax credit is the engine driving Broadway Stages to rapidly expand, and its continuance will provide for further expansion and creation of thousands of jobs. During Governor Cuomo's stewardship of the state, Broadway Stages, located in Greenpoint Brooklyn, has undergone a renaissance of film and television production. Our studio has grown exponentially from 25 soundstages in 2010 to 44 soundstages in 2017, expanding to 1.5 million square feet." Learn about Broadway Stages' involvement in raising the profile of Café Grumpy, our local coffee shop. 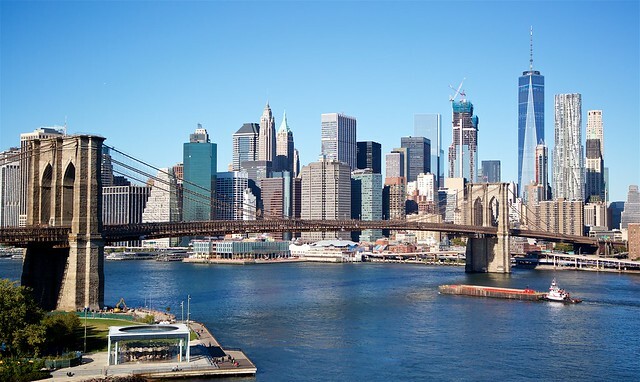 Visit AM New York for an inside look at some of the productions being filmed there. Thank you to the wonderful staff for always delivering the best coffee in New York. Broadway Stages is excited to announce our newest stage facility with its very own commercial kitchen. Located at 21-29 45th Road, Long Island City, NY, 11101, this space was the home of the award-winning Food Network show "Chopped" for 11 seasons and also served as the set for various commercials and television shows. 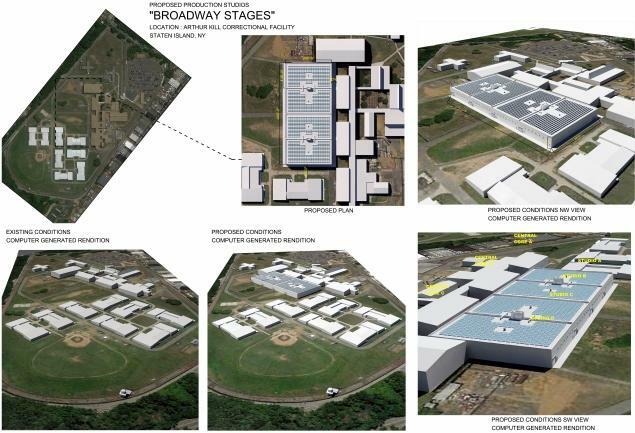 Broadway Stages plans to convert Arthur Kill Correctional Facility in Staten Island into a 69-acre mecca for making movies, TV shows, and music videos. The correctional facility closed in 2011. "We are looking forward to expanding on Staten Island and transforming Arthur Kill into a world-class production facility," Broadway Stages president Gina Argento said.